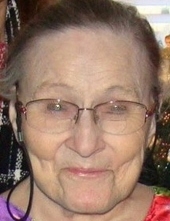 Sally Wills, age 83, of Story City, passed away on Monday, March 25, 2019 at Accura Healthcare of Ames. A Funeral Mass will be held at 10:00 A.M. on Monday, April 1, 2019 at Saints Peter and Paul Catholic Church, near Gilbert. Visitation will be held for one hour prior to Mass. A luncheon will be served following the inurnment in the Social Hall of Saints Peter and Paul Catholic Church. Burial will be in the Saints Peter and Paul Cemetery. Funeral arrangements are under the direction of the Adams Funeral Home and online condolences may be left for the family at www.adamssoderstrum.com. In lieu of flowers, the family requests memorials in Sally’s name be made to Mary Greeley Medical Center Foundation or the Israel Family Hospice House. To send flowers or a remembrance gift to the family of Sally M. Wills, please visit our Tribute Store. "Email Address" would like to share the life celebration of Sally M. Wills. Click on the "link" to go to share a favorite memory or leave a condolence message for the family.